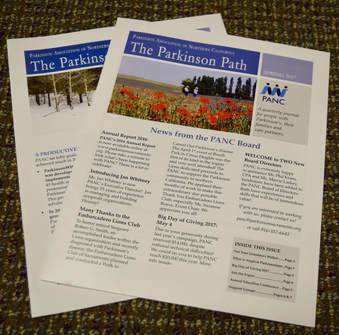 ​Our journal, The Parkinson Path, is provided to over 2,000 recipients throughout Northern California. The quarterly publication includes pertinent information and updates on events, support groups, services, new technologies, and articles provided by local PD experts. If you would like to have the publication E-MAILED to you, starting with the next scheduled edition, please complete the form below.